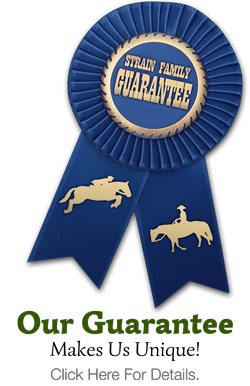 Strain Family Horse Farm is a third generation family business in this location since 1968. We specialize in well-trained, user-friendly horses at reasonable prices. We take trade-ins, consignment horses at no charge, and operate a Saddle Shop and Horse Transportation company.